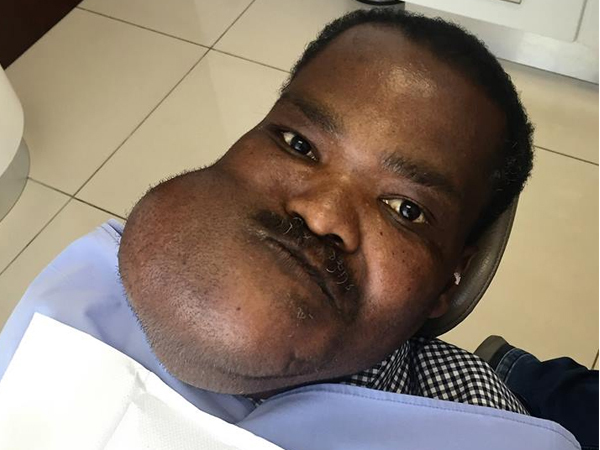 After twelve years of living with a grotesque tumour on his chin, help is finally on the way for Sipho Hadebe of Barberton. The 39-year-old’s plight has been answered by an outpouring of kindness and love from the public and personnel of the private Lowveld Hospital in Nelspruit. He'll now be able to have the tumour removed before it fatally blocks his airways. “It is amazing to see how everyone has opened their hearts and purses to help Sipho,” says Lisa Volbrecht, public relations officer at the hospital where a team of doctors have offered their services free of charge to remove the tumour. Doctors predicted the growth would likely block Sipho’s airways within a year, but Rob Ferreira Hospital couldn’t assist with the surgery and he was placed on a seven-year waiting list at the Steve Biko Hospital in Pretoria. Life was hard and lonely for Sipho who lost his job as a security guard when his employer insisted his tumour was too unsightly and he could only return if he'd had the necessary surgery. He and his wife, Lindiwe, have had to solely rely on her income as a supermarket attendant, and besides the pain and discomfort he suffered when trying to eat and drink members of his community also rejected him, staring and laughing at his grisly chin. It's difficult to communicate with Sipho, says Lisa, but he's extremely grateful and excited about the reconstructive surgery. 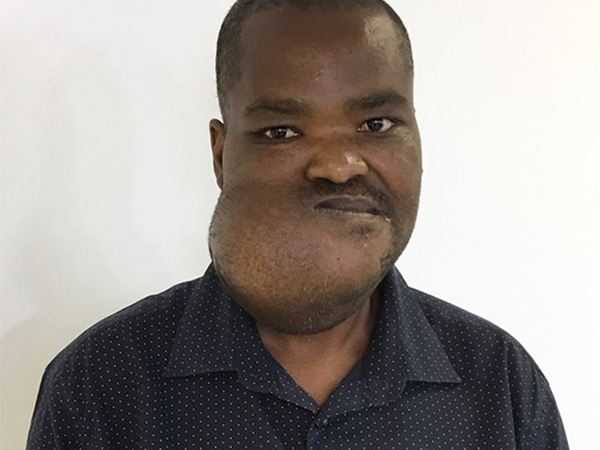 Dr Pieter Scheepers, a maxilla facial surgeon, will perform the massive seven-hour reconstructive surgery for free, once all the funds are in place for Sipho’s rehabilitation. “This is the final hurdle between Sipho and a normal, healthy life,” says Lisa who explains that although the hospital itself is making the operating theatre, equipment and staff available at no cost, they still need money to cover the cost of the medicine Sipho will need after the extensive operation. By yesterday afternoon, compassionate members of the hospital and public had already donated R35 000 to Sipho’s cause and Lisa was overwhelmed by the response. “I haven’t yet checked the balance today, but any funds donated in excess of the R50 000 we need will go towards Sipho’s rehabilitation after the operation,” an excited Lisa told YOU.